Note that the Featured Plans are available only for the Premium Users. When you ‘re ready to have a Premium Theme, go to our market. With our 2.4.0 release, we added the option to create featured plans for ads. 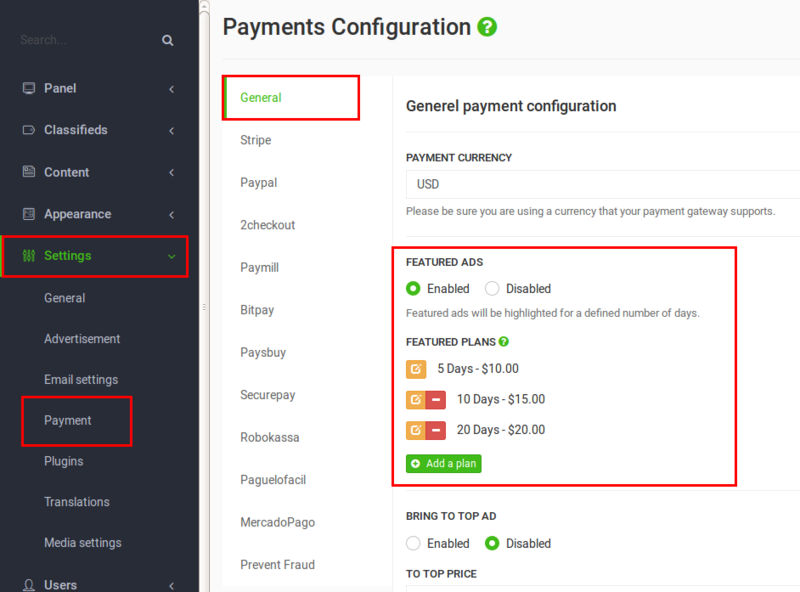 This feature allows you to give users the option to select among different length of the featured of their ad and pay according to your plans. If you don’t know how to enable featured ads, please follow this guide! Now, when users click to mark theird ad as featured, they will be redirected to the checkout page to choose the featured plan they want to buy. There are several ways to mark an ad as featured. Go to an ad page and click Go Featured!. Click to edit an ad and choose Go Featured!. Go to their ad page and click Go Featured!. Click to edit their ad and choose Go Featured!. Click the profile button on the top, choose My Advertisements, press Featured. Featured ads slider on homepage: Choose to show featured ads in your homepage slider on Settings -> Advertisement -> Listing Options -> Advertisements in home, choose Featured Ads or Featured Ads Random. Featured ads slider in the listing page: Enable slider on the listing page and choose to show featured ads. 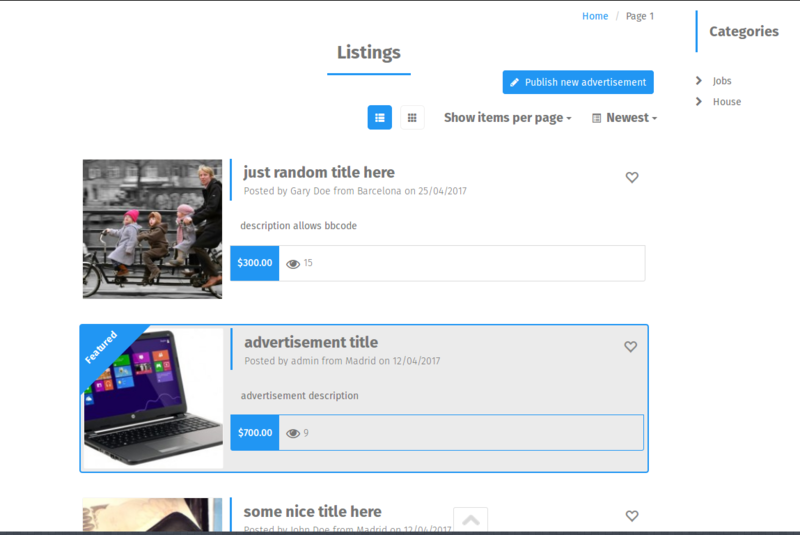 Go to Appearance -> Theme Options -> Listing -> Display slider in listing and choose Featured or Featured Random. Sort by featured in the listing page: Show the featured ads first in the listing page. Go to Settings -> Advertisement -> Listing Options -> Sort by in Listing and choose Featured.